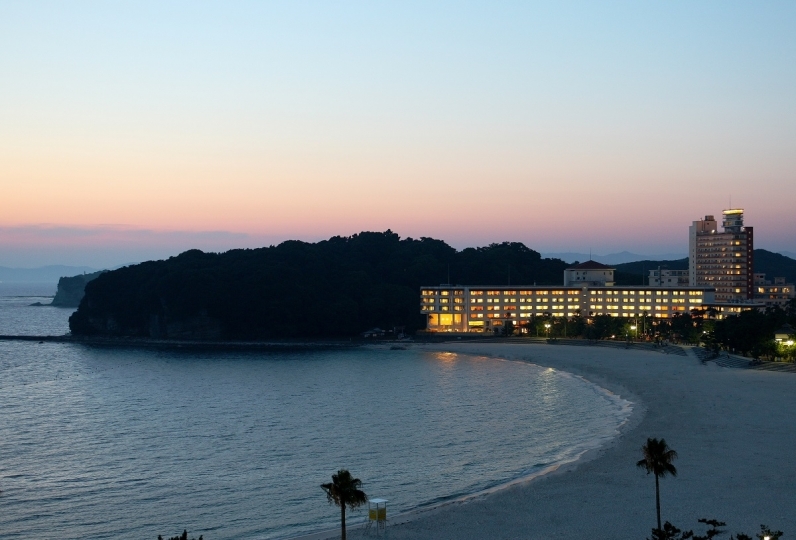 Opened on July 2017, Shirahama Nanki Marriott Hotel sits on a beautiful beach 10 minutes away from Shirahama Station. 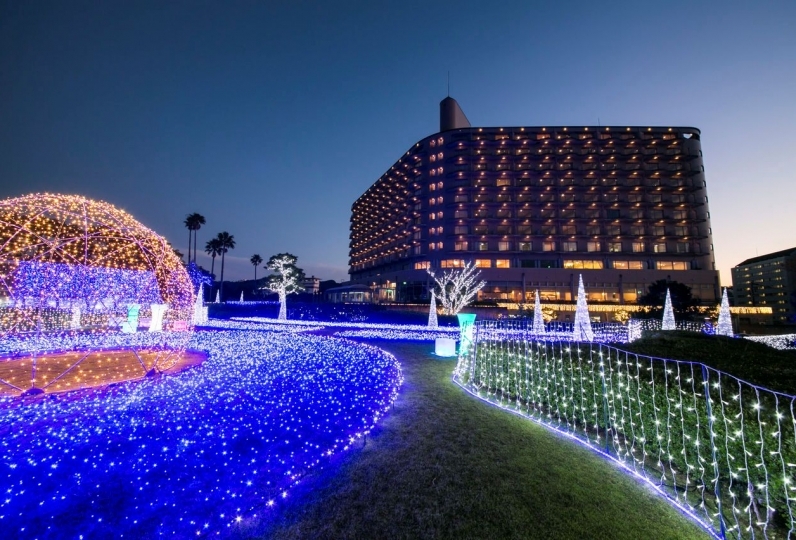 It's the best location to view both the Pacific Ocean and Shirarahama. Come relax on the beach while watching the sun set. Unwind with a bath in your room and let the view of the ocean heal your weariness from your trip. Have some fresh seafood for dinner. Our hotel provides an outdoor pool and fitness facilities that will help you make the most of your time in the hotel. The sun, sand, and surf invite you to come spend a your holiday in tranquility. Don't you want a trip to nature that is satisfying for both body and soul? We reserved a room with a hot spring, but I was worried about the sound circulating the hot water and was not able to relax. We stopped at midnight because I was particularly worried and I could not sleep, but it was so warm even if it was two hours in the morning. We had you put in paper which written notes when the sound of circulation was loud, but you may not have read the details here, and it might have been a little more comfortable if you say a word when you checked in I think. The room was very large and clean, so I was able to spend leisurely. I was able to spend a pleasant time with detailed consideration. I think that I would like to use this when coming to Shirahama. The staff at the front door will greet you pleasantly when you first arrive, check the name there, the name has already been transmitted when you get to the front desk, and all the explanations and dinner time reservations are very smooth. We also informed us about the adventure tickets we planed to go the next day, and we could buy them a little cheaper because we could pay along with the room charges. It is good because you can save time and time waiting at the window if you buy a ticket. For dinner, a great variety and amount of vegetables are cooked very deliciously, and the mains are also beef, pig and fish. I am very satisfied with everything from desserts. If I come to Shirahama area next time, I would like to stay again. Watch the sun sink behind the ever changing ocean while you have a luxurious dinner. For dinner, watch your fresh seafood and other menu items incorporating Nanki in the open kitchen. Experience resort dining with all your senses. Appearing in Nihon-shoki, the Shirahama hot spring can be counted as one of Japan's oldest springs alongside the likes of Arima and Dogo. 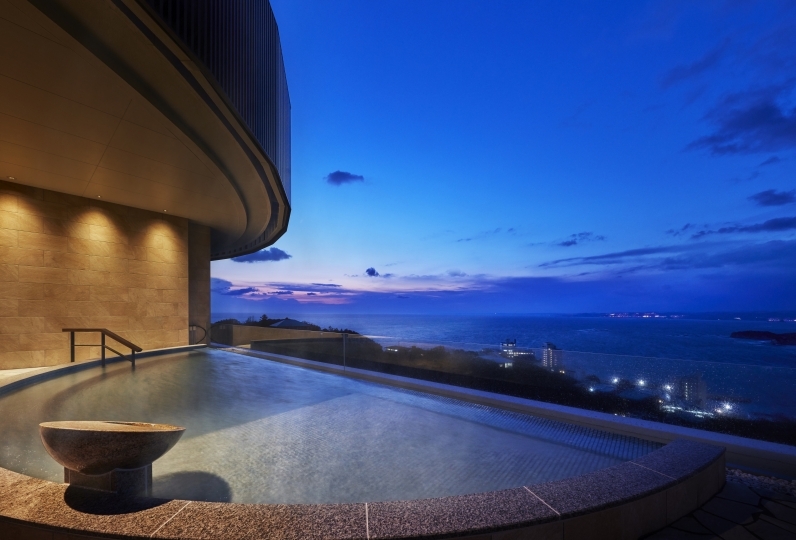 Enjoy the Fujinoyu from the top floor of the hotel or reserved private baths with spectacular views. 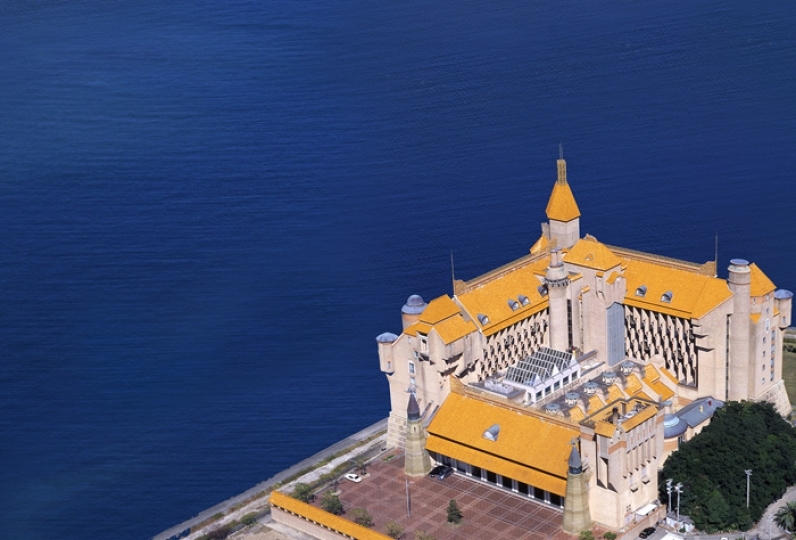 Guests of the hotel can use the outdoor pool during the summer season for free. Enjoy a swim in the pool which is over 20 meters, and play with your children in the child zone with a water depth of 57 cm. Relax in a poolside deck chair and take in the resort-like atmosphere.